Positive dental experiences begin in childhood. Your child’s first dental visit is an exciting time in their development. Many parents naturally worry about how their child will react the first time they visit the dentist. 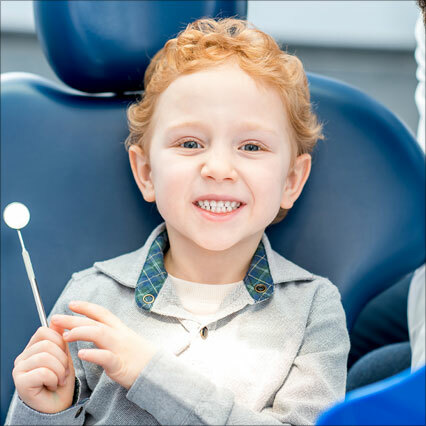 Let our experienced staff prove to both you and your little one that our main goal is to have your child be excited about their dental visits so they look forward to visiting us again and again. River Towne Dental is definitely Tooth Fairy approved. By providing a child-focused, nurturing atmosphere and having the patience to take the time needed to build a bond with your child. Not only does this enable us to address all of your parental concerns, but it allows us to build trust with your child so we can provide quality dental care, often without the need of sedation. We recognize that our smallest patients have unique needs and our appointments reflect the time needed to make your child feel at ease and to give them the time they need to adapt to their surroundings. Our practice prides itself in emphasizing prevention. We accomplish this by providing a wide range of professional pediatric preventative dental care including diagnostic examinations, cleanings, fluoride treatments, sealants, risk assessments, spacing/crowding issues, jaw growth concerns, sports guards, and parent/patient education. We want our parents to be the most well-informed parents out there and we enjoy educating our patients about proper oral hygiene and diet in hopes that they can help us prevent future problems.